A WW1/WW2 medal group awarded to 192053, Gunner William J. Banks who served with the Royal Artillery during WW1 and WW2. Banks’ WW1 Medal Index Card can be viewed by clicking on here, (if you have access to Ancestry although a paper copy will be provided with this listing). British War Medal and Victory Medal named to 192053. GNR. W. J. BANKS. R.A. 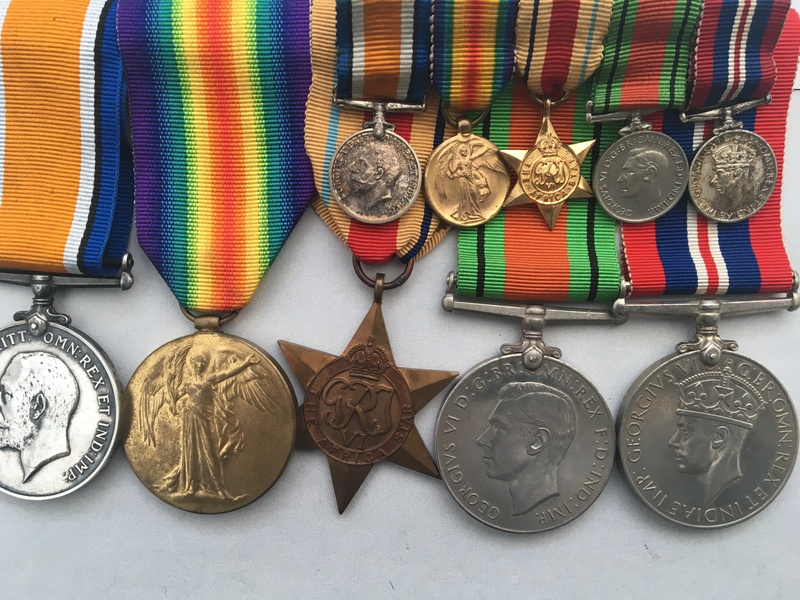 The medals are swing mounted with their original ribbons along with a set of matching contemporary miniature medals and a WW2 Medal Box named to Banks at an address in Preston. 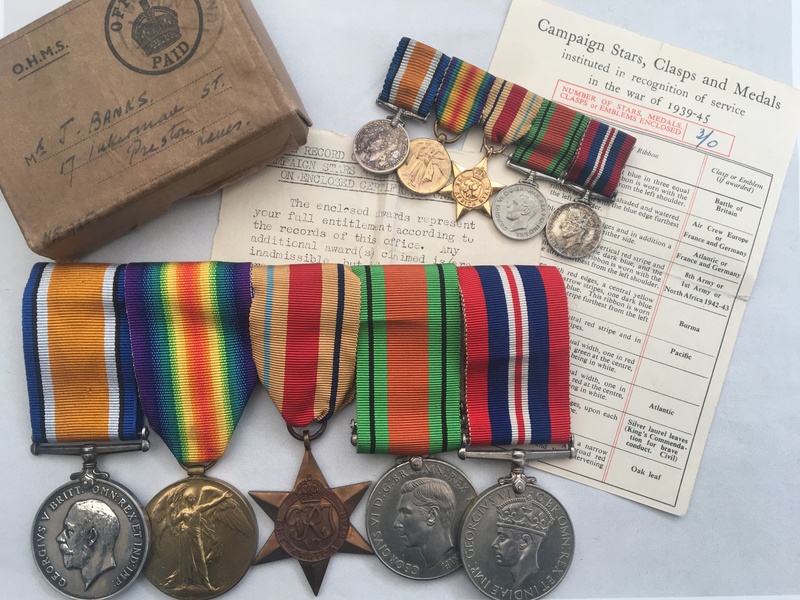 Also included in this listing is an Army Council Medal Award Slip noting the three WW2 awards.